Through their respective individual practices, artists Shary Boyle and Emily Vey Duke have long been committed to exploring the relationships between feelings, drives and fantasies and mechanisms of shame and social control. For The Illuminations Project, the two have come together over a period of several years to create a suite of incisive drawings and writings that demonstrate their remarkable ability to create familiar, if otherworldly, contexts shaped as readily by repression as they are by desire. Boyle and Duke first met in Halifax in 1995 and, living in separate cities, their friendship evolved primarily through letters. Over the years Duke developed her influential writing and collaborative video practice with partner Cooper Battersby, while Boyleʼs drawings, paintings and ceramics met increasing acclaim. In 2004 the two decided to collaborate, inspired by their written conversations and their practicesʼ parallel visions. Moved by the potential of combining words and images, they set out to test the communicative power of both with an improvised call-and-answer exchange in which Boyleʼs drawings and Dukeʼs texts responded to one another serially, embracing free-form ideas as readily as the intuitive drive for narrative structure. The rules governing their exchange were simple: Duke would write a text and send it to Boyle, who would then create a drawing in response. Boyle would keep that work private, while undertaking a second drawing that she offered back to Duke. Duke would subsequently compose two texts—the first kept secret, the second sent to Boyle. The exchange continued this way, with each artist keeping half of her output private and only seeing the totality of what her collaborator had made at the projectʼs culmination. What began as an investigation into the nature of artistic inspiration and response became a decade-long collaboration that explored the vast range of each artistʼs tone and style. The richly imaginative results draw on philosophy, religion and fairy tales alike to explore the freedoms and dangers of the wild, the nature of desire and the brutalities of contemporary life. 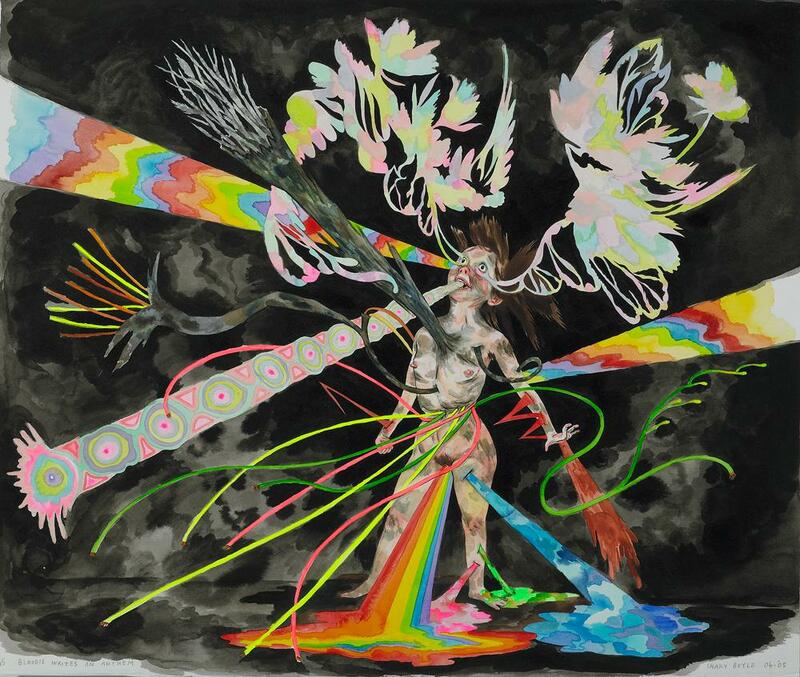 Shary Boyle & Emily Vey Duke: The Illuminations Project is organized and circulated by Oakville Galleries and curated by Jon Davies.